Malabi is such a nice dessert:) But I prefer it as a vegan version,with coconut milk. 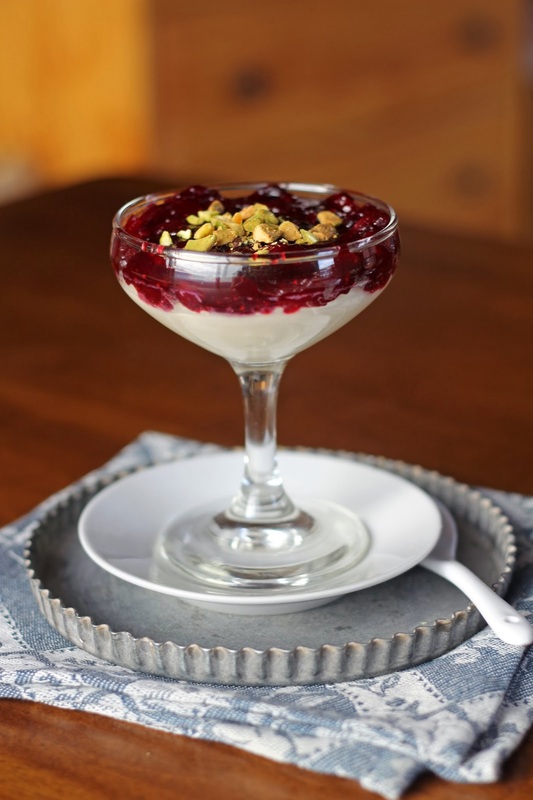 Jael, I love using coconut milk in desserts and will try it this way the next time I make malabi! Thank you for the suggestion. Happy Hanukkah to you! I love this Hannah. Sometimes for a simple appetizer at Thanksgiving, I just put dried cranberries and pistachios together in a bowl - so pretty to look at and yummy to eat. This makes so much sense and is a wonderful variation fitting for the season. I did, by the way, serve Blue Kale Road maple roasted nuts this year instead :-) Thanks for another lovely Tasting Jerusalem post! Great dish! And not one we've made before. Gotta try this - love the use of cranberry in it. Thanks. Thank you, John! It really is a comforting treat. I find it hard to resist custard in any form! So decadent Hannah and those photos are gorgeous! Wow, Hannah--what a unique spin on this recipe! This sounds like a wonderful holiday dessert! Thank you, Brianne! 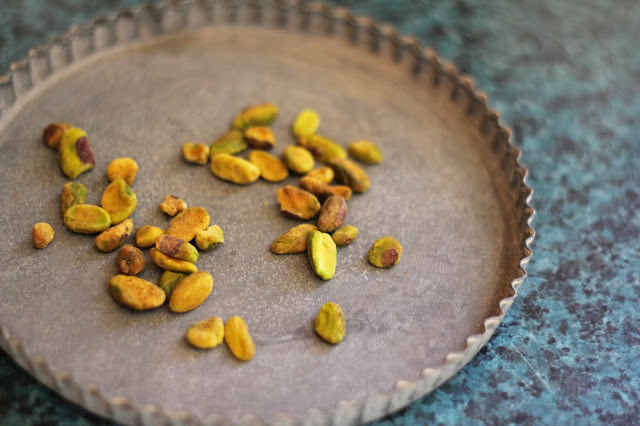 I'll be making malabi again soon - it is an elegant, yet comforting, treat. I hope you're having a fun holiday season so far! This looks so delicious, Hannah! Happy Thanksgiving and Chanukah. I love pistachios. 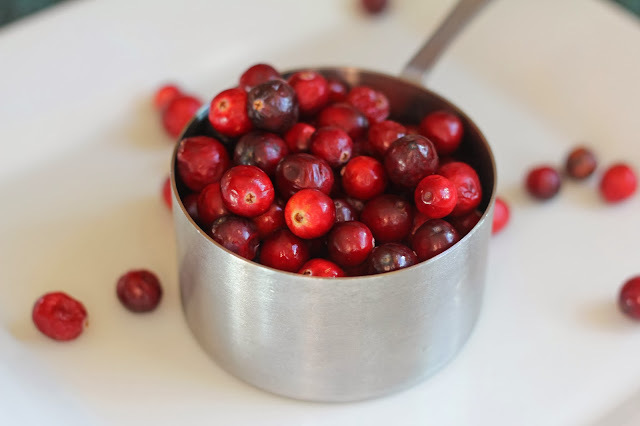 And you're right, cranberries are so beautiful. This dessert incorporates a bunch of my favorite flavors into one pudding. Just lovely. Another Jerusalem hit! Thank you, Amanda! This has been such a fun, delicious year cooking from Jerusalem. I'm delighted to have made malabi and will be doing so again soon. I hope you enjoyed a festive, happy Thanksgiving and Hanukkah! 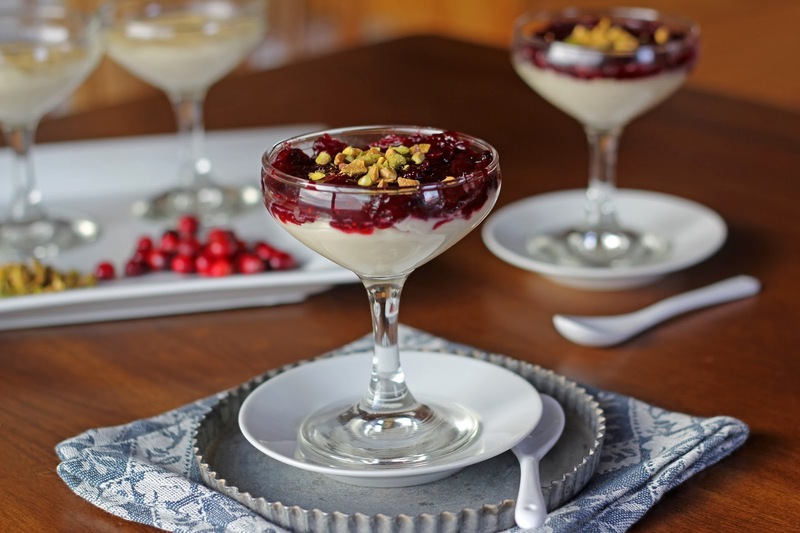 Lovely and so different - a refreshing alternative for using cranberries! Thanks, Lynda! I'm loving all the cranberries right now. I hope you're enjoying a fun holiday season! What a scrumptious and festive dessert! The cranberries and pistachios just scream Christmas to me! Thank you, Deb! I hope you're enjoying the change in seasons and a bit of winter fun. Stay warm and cozy! 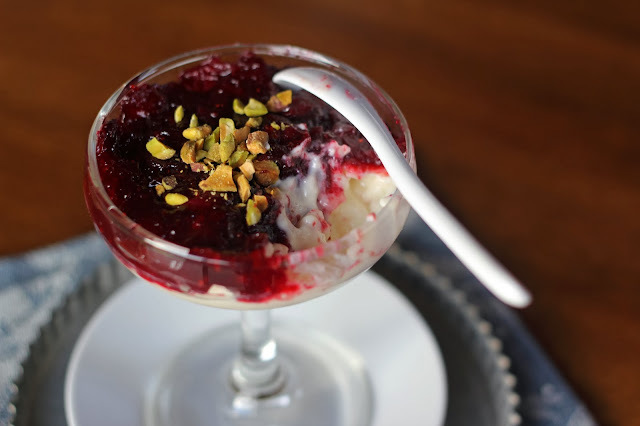 I love malabi, its so delicious, I really like your version with the cranberry topping and the extra richness from the heavy cream. I may just make an egg nog version. 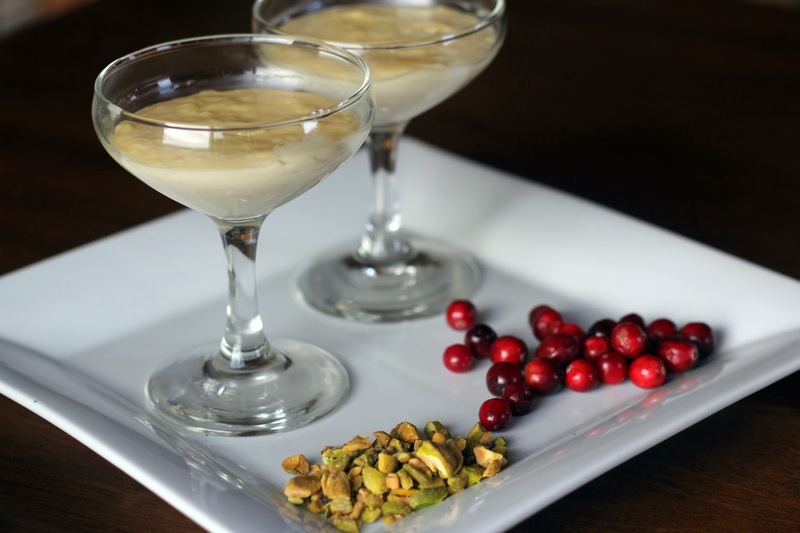 Oh my, Suzanne...an eggnog version of malabi sounds unbelievable. We're big fans of eggnog around here! My son's girlfriend made us a batch of homemade and it's such an incredible indulgence. Hope you're enjoying this festive season! This does indeed look like a delicious dessert to serve after a holiday meal. Thank you, Karen! I hope you're having some snowy fun during this festive season. Merry Christmas to you! Well isn't that the prettiest thing?! It looks just perfect for this time of year! Thank you so much, Brooke! I just love this festive time of year. I hope you're having lots of holiday fun with your boys - maybe even some snow if the forecast holds!